It’s difficult to say what we will miss most from our time as researchers in residence at the People’s History Museum. 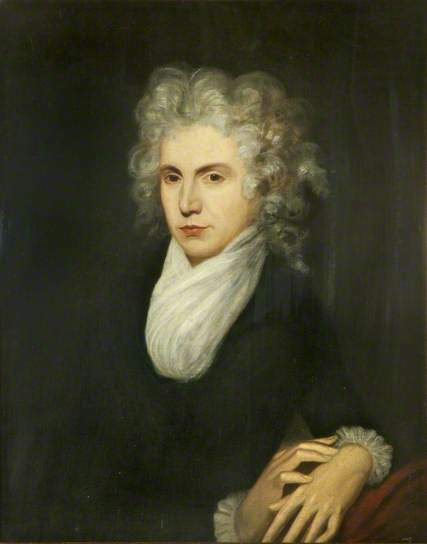 In collaboration with the University of Manchester, our project focused on researching the Mary Wollstonecraft portrait in Gallery One, a stunning, powerful visual representation of one of the founders of modern feminism. We have enjoyed working with the friendly and knowledgeable staff, from the café that helped us out with emergency water bottles to the front desk beautifully writing up our events on the blackboard that greets visitors. It has been very insightful to work with different people across the museum, such as the events, curator and outreach team. We encourage other researchers to get involved with the People’s History Museum and their brilliant collections and helpful attitude to external people hosting events. Over the six months Lucy and I organised six events to celebrate, challenge and change the visual representation of Mary Wollstonecraft. We began by working with Manchester-based artist, Helen Mather, on a beautiful poster that outlined the events. In early March we dedicated two tours of the PHM galleries to feminism and Wollstonecraft, and enjoyed hearing the groups’ thoughts on the portrait, gender politics and the future of equality. In April, campaigner and Wollstonecraft-champion, Roberta Wedge, joined us to speak about her campaign to get the first statue of Wollstonecraft erected in the world. Her passionate lecture on the life and work of Wollstonecraft, and why we must not forget her, moved us and the audience. In May, we invited Professor of Romanticism Sharon Ruston from Lancaster University to speak about Wollstonecraft and natural history. She gave the talk at the Working Class Movement Library on the day after the general election. Many found comfort in her concluding statements about the high number of women in government today, as we came to grips with the Conservative success. Professor Ruston joined us again for an academic panel at the PHM, joined by Dr. Laura Kirkley (Newcastle), Dr Emma Liggins and Dr Sonja Lawrenson (both MMU). Speaking about Wollstonecraft and race, motherhood and literature respectively. The audience was treated to original research and insightful comments on modern feminism. Our penultimate event was all about art as we invited graffiti artist Stewy in to make a new Mary Wollstonecraft portrait. Stewy shared a small and brilliant documentary about his thoughts on graffiti, feminism and Wollstonecraft. After this we followed him out to watch his image of Wollstonecraft take shape. There was a lot of excitement as she appeared in all her life sized glory in a windswept Manchester. The piece is currently living in the museum, and we can’t wait to see what they will do with her. Stewy stayed on to sign posters and chat, and there are still some gorgeous, signed screen prints available to buy from the PHM shop. Our final event was all about poetry. Feminist collective Stirred Poetry guided a group of both poets and non-poets through some creative exercises, and by the end of the day we had written individual and collective poems. These were all beautiful and powerful, do check them out here. Over the course of these events our suspicions have been proved right. People are passionate about Mary Wollstonecraft. They, like us, want to know more about her and we suspect there is a lot more to learn. We want her represented visually as well as creatively and lyrically and we think the PHM portrait of her is incredibly important to how we should study her today. We want monuments and discussions, research and debate. There is simply not enough attention paid to one of the most important women ever to have lived, loved and worked in this country. Where next? Soon we will be meeting with the PHM for the last time. Lucy and myself hope to contribute to academic research with a paper on the portrait and our art historical findings and hopefully more people will be encouraged to visit the portrait and study it themselves. We also hope to write a leaflet for a feminist tour of the museum and to encourage the museum to make some changes. We are sad to see the end of this project but we know we will visit Mary again. In my last line of my last poem from the poetry workshop I wrote: “I’ll miss you.” We certainly will. 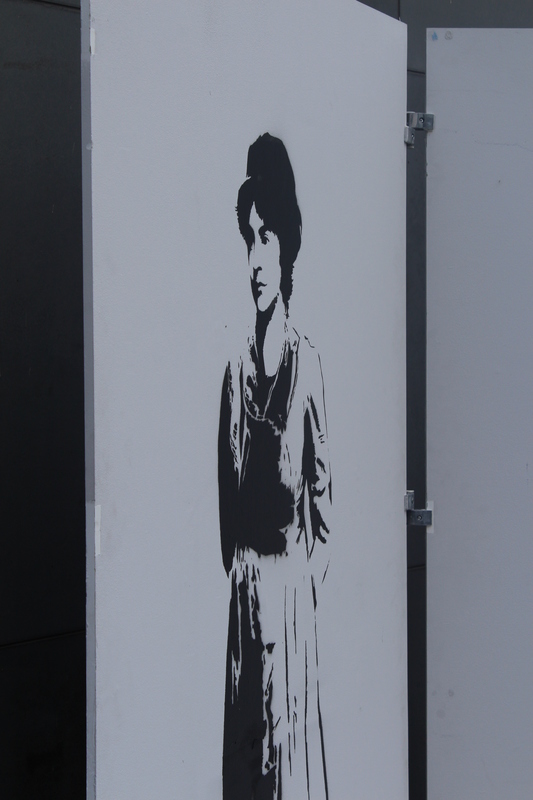 This entry was posted in Events and tagged Events, Mary Wollstonecraft, Researchers in Residence. Bookmark the permalink.